430: The House of Steam – Year three!! 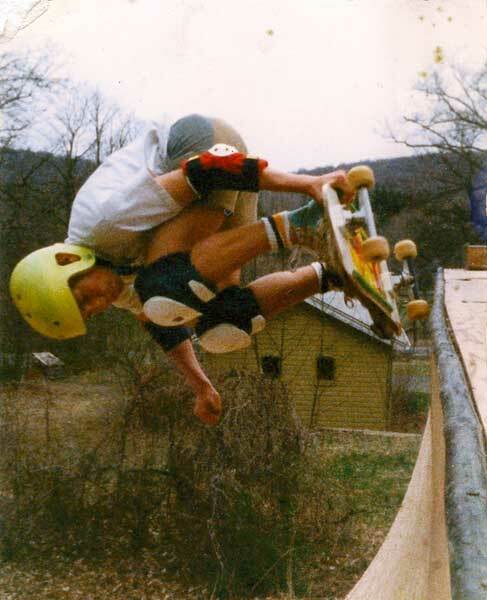 Tom Groholski at Home NJ circa 1984? Photo by The Padulo Brutics! So on July 20th THOS turned three years old. Crazy to think I have been living with this thing that long in two different countries as well. It has been a great year from my vantage point it seems there has been no downturn in the brotherhood sector of the economy. 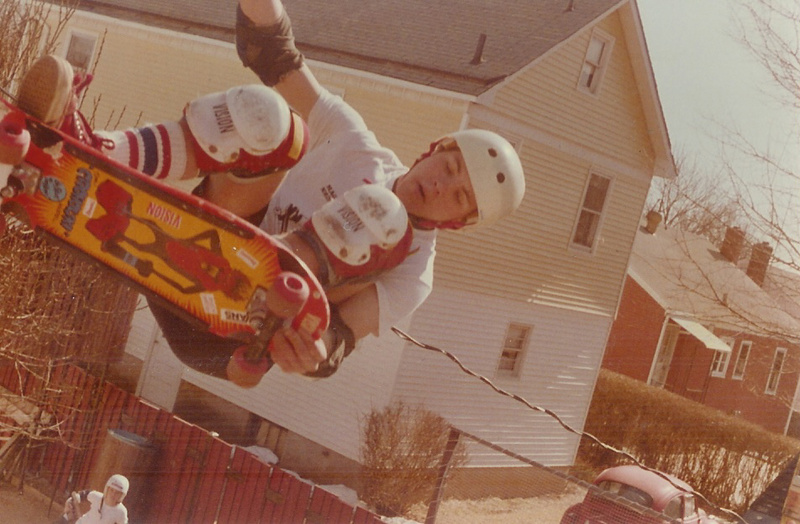 A high water mark is obviously Jim Murphy being recognized for his charitable/skate endeavors but along with that I have my eye on a lot of other seeds that have been planted and people tied to this community seem to be gravitating towards one another with results to follow. So THOS continues on into year 4 – keep the pics and stories flowing and I promise to keep it all moving so no one will ever have time to hang a sign on us. Cheers, My Bruthas and Sistas! 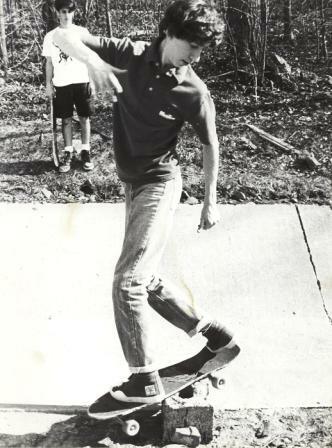 Ps How sick is that photo of Tom! Nice one Dave! 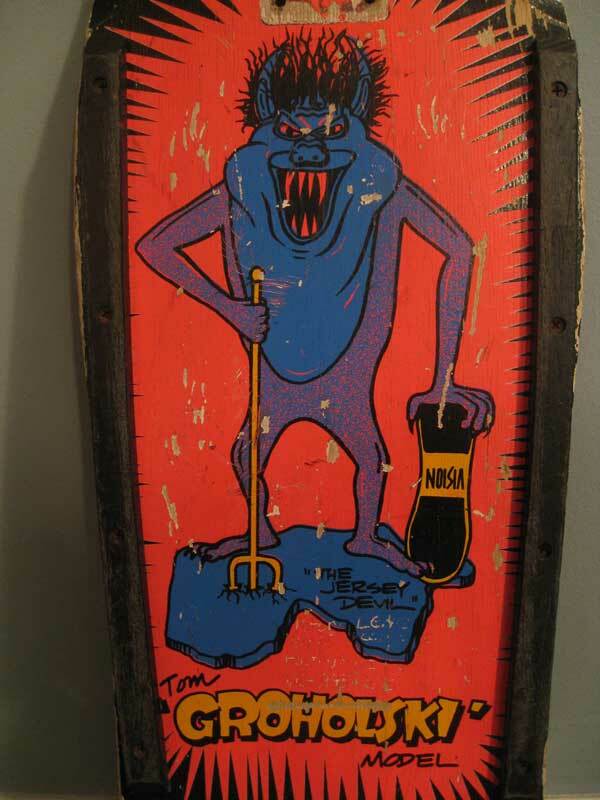 This entry was posted in Groholski's Ramp, Photos by The Padulos, Tom Groholski and tagged ART, backyard ramps, bam, Ben Cornish, boards, Dave Padulo, east coast, house of steam, jason, Jason oliva, jasonoliva, Jim Murphy, New Jersey, New York City, nj, NYC, oliva, padulo, paintings, photography, pool Skating, ramp, ride, sk8, sk8t, skate, skate decks, skate history, skate photography, Skate ramps, skate trucks, skate wheels, skateboarding, skateboarding history, skateboarding photography, skateboards, skatepark, skater, SKATERS, steam, Street Skating, TEAM STEAM, The Barn, The House of Steam, thos, Tom Groholski, vert, vert ramps, Vert Skating on July 27, 2009 by jasonoliva. 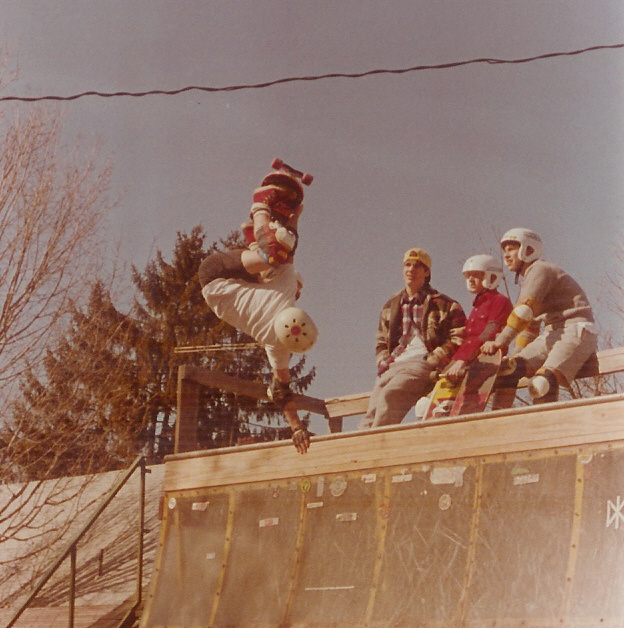 No pads or a helmet I am sure Mrs. Kane was away on vacation that night! Great picture Padulos!! 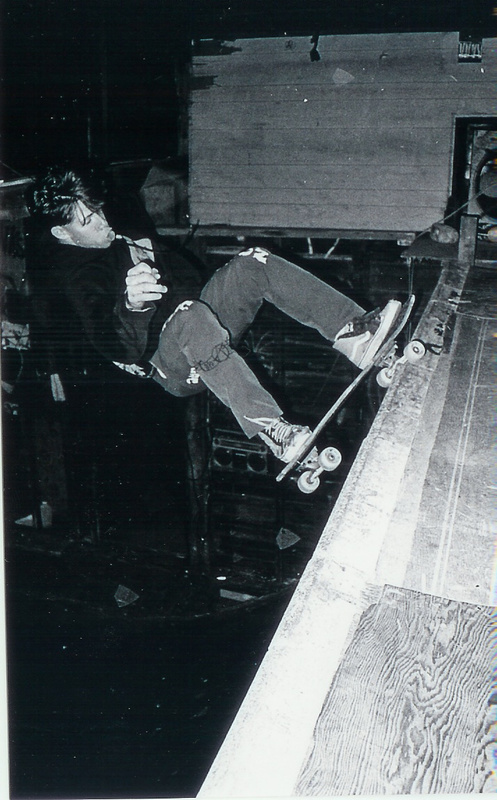 Good Shot of how close the front door was to the flat bottom of the ramp and the battle scarred tape player. 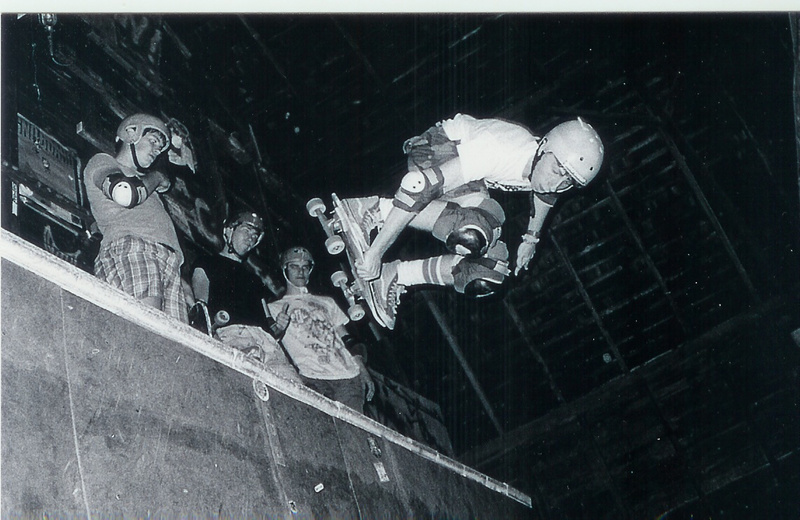 This entry was posted in 1986, Jim Murphy, Photos by The Padulos, TEAM STEAM, The Barn, The Barn’s History and tagged ART, backyard ramps, bam, boards, Dave Padulo, east coast, house of steam, jason, Jason oliva, jasonoliva, Jim Murphy, New Jersey, New York City, Night Session, NYC, oliva, paintings, photography, pool Skating, ramp, ride, sk8, sk8t, skate, skate decks, skate history, skate photography, Skate ramps, skate trucks, skate wheels, skateboarding, skateboarding history, skateboarding photography, skateboards, skatepark, skater, SKATERS, steam, Street Skating, team, TEAM STEAM, The Barn, The House of Steam, thos, vert, vert ramps, Vert Skating, Wednesday Night Sessions on January 7, 2009 by jasonoliva.